As I write this I am currently hiding from the thunderstorm of epic proportions in Leeds. Hate lightning, unless I'm in a car then I love it (yeah, weird) Jay is being my thunder buddy for life, bless. Thank god this didn't happen yesterday at the match otherwise I think I would have passed the hell out. 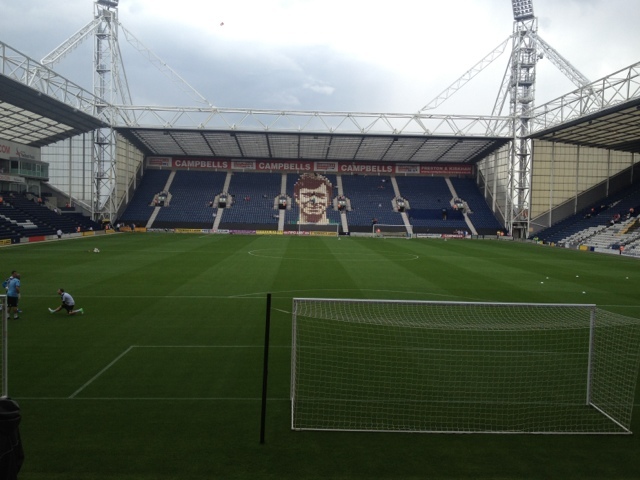 Pre-Season continued with a trip to Deepdale yesterday, and the score ended 3-1 to us. Biggest surprise for me was seeing Patrick Kisnorbo in the starting line up, I like Paddy as a person and it's nice to see him back after he has been so unlucky with injuries of late. He didn't look too bad for the time he was on, but I think we need someone a bit more solid to really command that back line. The game was by no means pretty, but there were some fantastic goals scored, none of which were scored by forwards!!!! 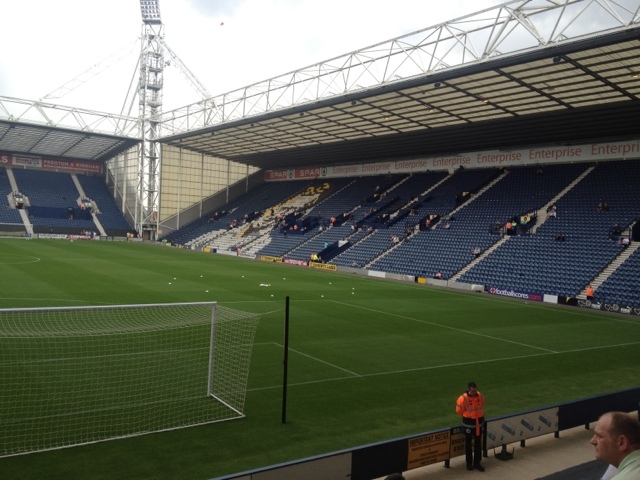 Preston were working really hard and were really coming at us in the first 20-25 minutes but Tom Lees chested and volleyed a superb header by Luke Varney to open the scoring. Really well worked. Paddy Kisnorbo made way for Sam Bryam to come on in his place after 30 mins. Preston were not down and out though and in the 2nd half a goal came for them in the 57th minute, Mousinho evening the odds at one a piece. Becchio, McCormack and Brown all came off in the 60th minute of time and were replaced with, Drury, Gray and Pugh. As we got in to the 2nd half we settled down a bit and began to look a lot more settled and organised, Pearce impressed showing his strength at the back. Bryam put us in the lead again as he scored on the 66th minute but we weren't done with the goals yet. The last scored on the 80th. 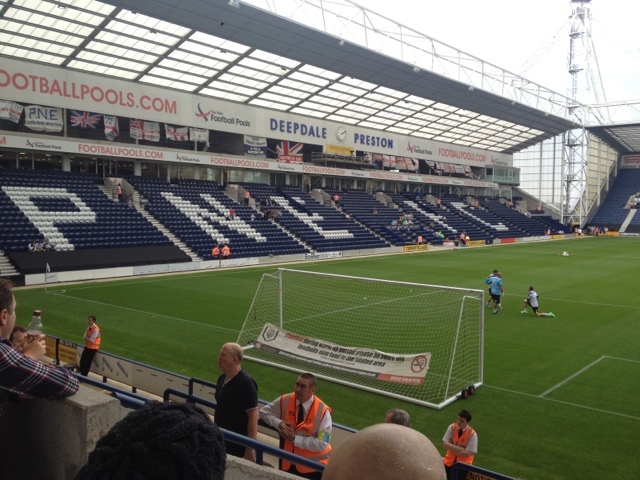 We stayed to clap the players at the end, when Neil Warnock brought someone on who hadn't played.....Lee Peltier. Absolutely fantastic signing in my opinion, good, solid defender, think he'll do well here, especially the way Lees and Pearce have been playing so well. Here's to hoping we might be solid defensively for the first time in a long time. I turned 23 on Friday so it was a nice little present to go for a couple of drinks and go to the Football!! 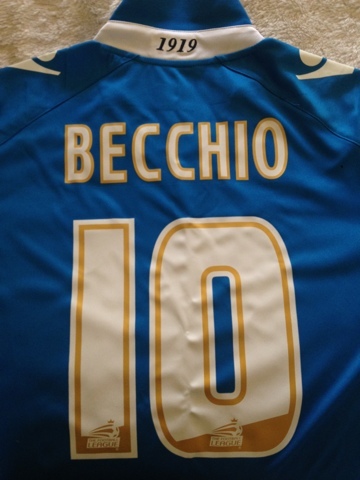 :-) Jamie bought me the full new away kit with Becchio on the back of my shirt :-) Love it!!! !